SQL Server 2012 has been around for quite a while now, and yet, I keep finding hidden enhancements. 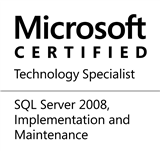 Now, the SSMS for SQL 2012 uses the VS2010 shell and therefore inherits a lot of it’s functionalities from there. Recently, I stumbled into the “Navigate To” window in the SSMS for SQL 2012 (“Denali”). I keep all of my scripts (which I have used in the blogs or those that I use during work) under various projects within a solution. Over time as my collection grows, it becomes difficult to remember which script is located under which project, what is the name of the script, etc. In such cases, the “Navigate To” feature can used to quickly find a file within a solution in SSMS. Type a part of the File Name in the “Navigate To” window, and it immediately gets the list of files containing the search string. Double-clicking the required file opens the file from the solution in the SSMS Query editor window. So simple – I was able to reach to the required script in just a matter of seconds. To all the DBAs out there – I find storing my scripts as solutions a very easy way to manage them – I can also share the entire solution with my colleagues via the source control system. If you have not experimented with solutions, I strongly suggest that you give it a try. This entry was posted in #SQLServer, Blog, Imported from BeyondRelational and tagged #SQLServer on September 17, 2012 by nakulvachhrajani.